In addition to playing a central role as a permeability barrier for controlling the diffusion of molecules and ions in and out of bacterial cells, phospholipid (PL) membranes regulate the spatial and temporal position and function of membrane proteins that play an essential role in a variety of cellular functions. Based on the very large number of membrane-associated proteins encoded in genomes, an understanding of the role of PLs may be central to understanding bacterial cell biology. This area of microbiology has received considerable attention over the past two decades, and the local enrichment of anionic PLs has emerged as a candidate mechanism for biomolecular organization in bacterial cells. 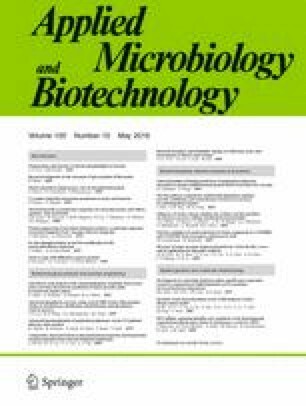 In this review, we summarize the current understanding of anionic PLs in bacteria, including their biosynthesis, subcellular localization, and physiological relevance, discuss evidence and mechanisms for enriching anionic PLs in membranes, and conclude with an assessment of future directions for this area of bacterial biochemistry, biophysics, and cell biology. T.-Y. Lin acknowledges a Dr. James Chieh-Hsia Mao Wisconsin Distinguished Graduate Fellowship from the Department of Biochemistry, University of Wisconsin-Madison. Research in this area of our lab is supported by the National Science Foundation (under award DMR-1121288), the National Institutes of Health (1DP2OD008735), and the United States Department of Agriculture (WIS01594). Ti-Yu Lin declares that he has no conflict of interest. Douglas B. Weibel declares that he has no conflict of interest.